Can I set up a discount based on a specific range? Customer Groups are setup in Admin / Settings / Manage Customer Groups. 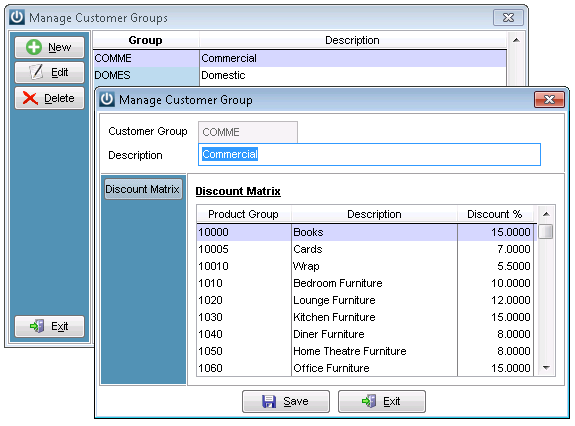 Each Customer Group can have a Discount associated with a Product Group. Product Groups are setup in Admin / Settings / Manage Customer Groups. Here a Discount for a Product Group can be associated with a Customer Group in a similar fashion to above. 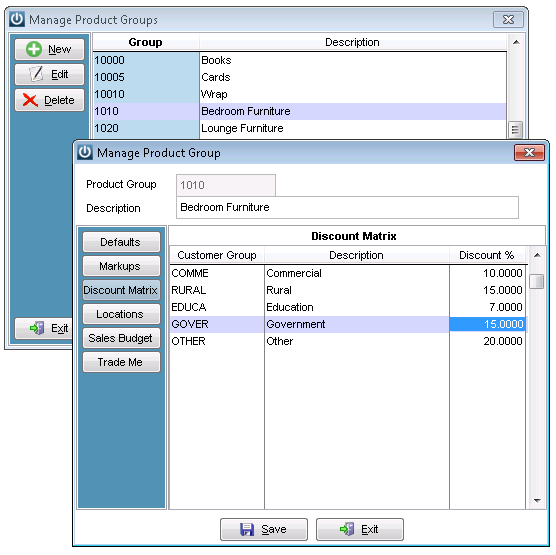 For the Discount Matrix to work BOTH the Customer and Product must be setup to Use Discount Matrix. 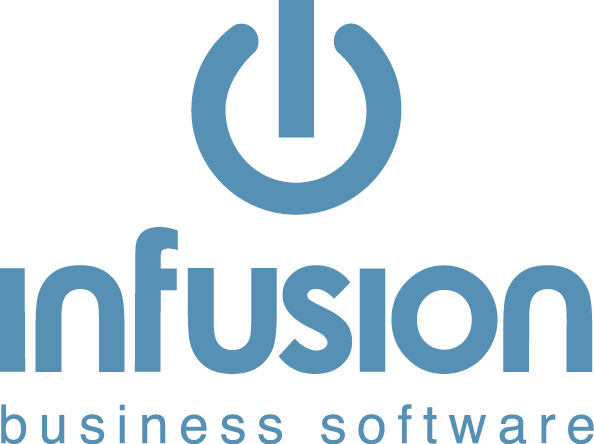 This is done in the respective Manage sections and requires each Customer and Product to be individually selected for this. Any changes to this screen and it will be necessary to go to Products / Utilities / Recalculate Product Selling Prices. 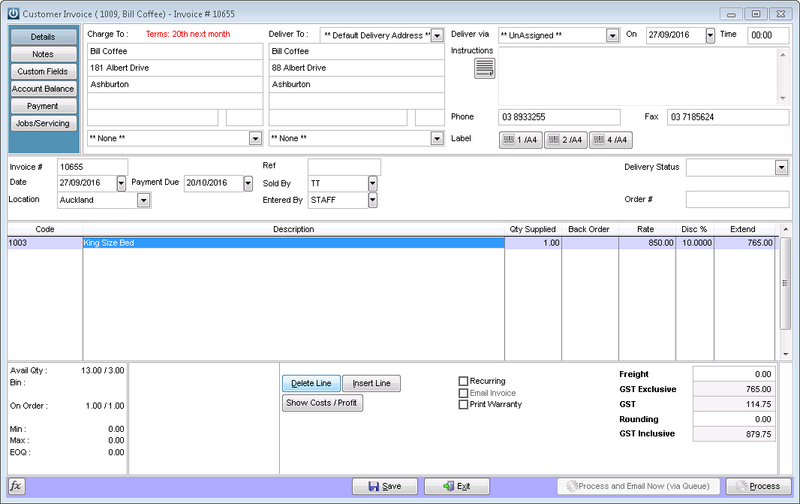 When the invoice is entered it will automatically calculate the discount for the Customer Group and Product Group. How Do I Transfer Between the Customer and Supplier?